The big problem with iframes is communication between the iframe and it's parent. When the origin of an iframe is the same as parent there's no problem. But when the domains are different it was impossible to change anything in iframe from parent for instance. postMessage solve this problem almost completely. The cool part is that postMessage works almost on every browser including IE8. Let's start playing around with postMessage then. 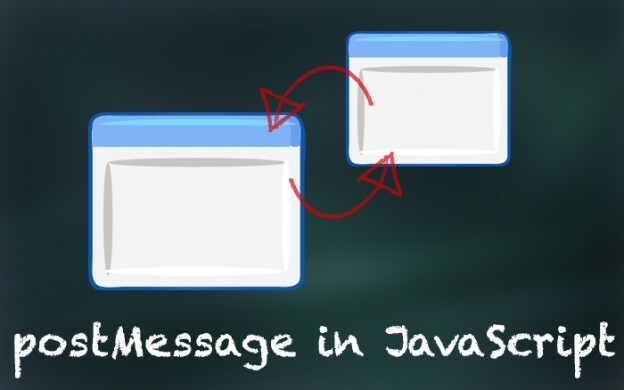 In second line we will send the message to this iframe via postMessage function. It takes 2 parameters. First one is data that we want to send to iframe. Basically it can be any kind of object, json, etc. but the safest way is to use String type. It is supported by all major browsers. First of all we should write short function that will handle our message. It should take parameter that will have received message. First of all we can check if message should be accepted. It's optional check. Usually I don't care where from message was posted. But if we want to check, origin will help us. Quiet often we want to respond to the message, for instance send confirmation message or some status. We will use event.source.postMessage() function. As target domain pass event.origin, to send request to sender window. But do not forget that You have to write another receiving function in parent window, that will handle onMessage request! Last part is to bind our function using eventListener, or in older browser using attachEvent function.